What does snacking mean to Australian consumers? Simply put, it’s a part of most all of their daily lives, featuring prominently in what they consume. Australia is a country of snackers. In fact, a report from the Global Agricultural Information Network (GAIN) found that two-thirds of residents snack between meals. The most popular time to snack is mid-afternoon, which is prime time for a workplace. The GAIN study also found that Australians are focusing on eating more natural, fresh and unprocessed food. Consumers also realise that portion sizes need to be smaller and are making healthy snacking a goal. While this has become a priority for consumers, it would be misleading without context. In the changing landscape of snacking, healthy options are greatly desired. However, much research and data underlines all of this with the factor of convenience. More often than not, time-pressed snackers will choose what’s easy. Is there a way for snacks to be both healthy and convenient? Let’s take a look at the changing landscape of snacking and the solutions to meet these two needs. While Australians have good intentions, the research also found that 72% of shoppers place a higher emphasis on taste than any other attribute when purchasing food. Price is the second most important driver. This indicates that even though consumers understand the importance of eating healthy, they are still placing more focus on taste and cost. Convenience is also a key element of what they choose to purchase and eat. The priority to reduce sugar isn’t always easy to abide by. While 50% of Australians agreed that packaged goods have too much sugar, only 25% have tried to reduce their sugar intake. There is still a focus on snacking, and the study from Ipsos reiterates the GAIN findings, that two-thirds of Australians snack between meals. But how will they find healthier snacks? Is convenience really the tipping point when faced with a decision? Do they cut up that apple that brought in or grab chips from the vending machine? As most snackers eat while at work, how can the workplace encourage better snacking habits? Where does the role of the employer come into play? It’s been proven by countless reports that eating healthy creates a more productive workplace versus the effects of sugar and carbs. The answer is to offer healthier options through healthy snack delivery. Offering snacks that have natural ingredients and are conveniently to eat is imperative to helping your employees make good food choices. Lead them away from the candy bars and salty snacks most often found in vending machines. With healthy snack delivery, you can even find options for all those with dietary preferences like vegan food delivery. So, how do we know that consumers are really eating healthier snacks? It’s all in the numbers. IBISWorld found that healthy snack food production was the fastest growing segment with an annual increase of 3 percent. Snacking, of course, has evolved greatly and can often be the way consumers eat on a daily basis versus three meals a day. This push toward healthier includes dietary restrictions and requirements like low fat, sugar and salt, as well as the demand for organic, gluten-free and vegan options. This is a major hurdle you’ve probably encountered in your workplace. Tight schedules leave little time for a long lunch break. In fact, you’ll discover that a lot of data points toward some consumers using snacks as meals. Because you are dedicated to creating a workplace that’s effective, efficient and worker-focused, it makes sense to be concerned about snacking and the options you now provide. In this post, you’ll receive a great review of the trends and how you can meet the demand of your workforce with healthy snack delivery. With two-thirds of the population snacking regularly, it’s a good idea to look at this data in context. The findings indicate that Australians snack four times more than they did 10 years ago. This trend is strong and will only continue to grow. Snackers are getting smarter, too. According to a Project Harvest report, consumers have more knowledge of and expectations for their food’s nutritional value. With knowledge often comes better options, but this isn’t always the case, especially for those with busy schedules. If your employees have days with tight schedules, they still need to eat. And they want to eat better. Time is of the essence. Whatever is close by is likely to be what they grab. In this key moment of decision-making, can you play the hero? Bringing healthy and convenience together? It’s possible — with healthy snack delivery. Because your workforce more than likely is more aware and cognisant of what they are putting into their bodies, the last barrier to break is convenience. It’s not always easy to get fresh foods when you’re busy. In fact, it is about impossible. While fresh foods have great health benefits, they lack the convenience factor. Many may think that any packaged goods are automatically bad for you. Not, as food manufacturers have seen the shift in snacking, they’ve stepped up to the plate to deliver foods low in sugar and high in protein, having also taken out preservatives and other unhealthy additives. With healthy snack delivery, you’ll get these very options. Being healthy and preservative-free doesn’t equal a bad taste. Healthy food can taste good — it’s all about the right ingredients. Simple and clean are the biggest attributes guiding healthy snack products. Did you know that snacking can help manage mood? A survey from Galileo Kaleidoscope found that consumers use snacking as a way to handle stress, enhance social engagement and as a way to refuel when they need energy. The survey also found that instead of reaching for junk, snackers were more interested in products with clean, high-quality foods with nutritional benefits. These same consumers want transparency when it comes to ingredients and want all the artificial flavours removed. Further, they are looking for items that are low in sugar and fat. They have been successful in many new offerings, which you can find with healthy snack delivery. What’s great about healthy snack delivery is that it fits all these needs, and it can be an outstanding catalyst for a better mood. When the body receives clean foods with essential nutrients, it performs better. When people feel good, they are much more likely to be happy. 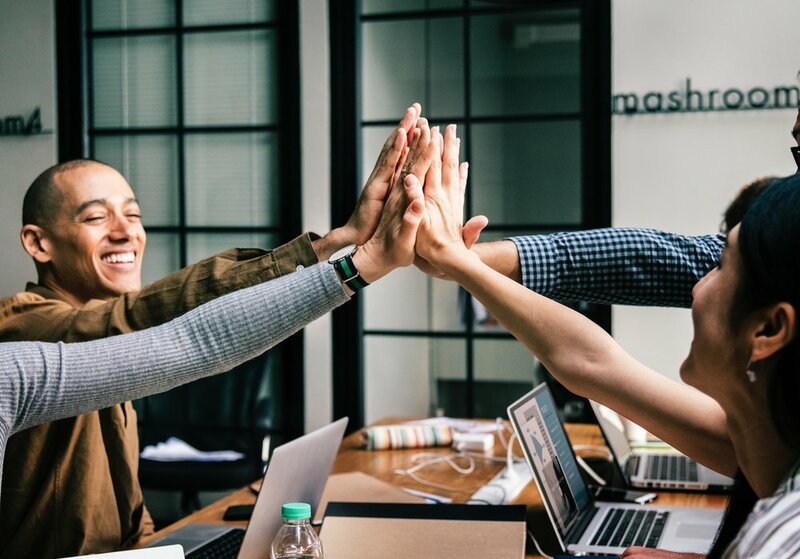 If your workers are happy at work, this results in a more engaged workforce, which is what every business hopes for, as it’s an indicator of low turnover and higher productivity. Never under estimate the power of mood on your workforce. When it’s bad, there is a cloud of negativity over the office. When moods improve, the cloud disappears and what’s left is employees that are happy to be there and work to the best of their ability. This is essential for the success of any business. And you could help control it just by offering healthy food! Many of your employees may depend on snacking for all their eating needs versus traditional meals. Several factors are impacting this trend such as less time to eat and the casualisation of the workplace. In fact, Mintel research has found that 31 percent of Australians eat snacks instead of a meal. This research indicates that snacking isn’t just for a pick-me-up. Rather it’s redefining eating and is more now for nutritional value. As discussed, this correlates with the high priority to eat healthier throughout the day, including snacks. However, it’s hard to ignore the reality of what sale and that many times is indulgence. Maybe consumers want to have their cake and eat it, too — literally. What insight it does bring is that consumers are one-dimensional. They have multiple priorities and factors impacting what they eat and when. For healthy snacking, convenience still has a hold on a consumer’s choice as they want portable nutrition. Consumers seek snacks that contain ingredients found in a main meal like protein and other nutrients. According to the Mintel Global Food and Drink Trend report, many snackers want plant-based protein, which can be fulfilled with vegan snack delivery boxes that contain snack bars versus other options. As consumers look for more nutrient-dense snacks, this means your employees want this, too. They are both time-pressed and health-conscious. Healthy snack delivery can answer both these challenges. The desire for healthier and “cleaner” lifestyles motivates consumers to prioritise what they eat. They certainly want things to taste good but are favouring plant-based ingredients. With vegan food delivery, you can offer your workers nuts, seeds, grains and other options that meet their needs. Meet that demand directly without compromising convenience, quality or taste with healthy snack delivery. Here is how healthy snack delivery works and why it embraces both convenience and healthy choices. With a subscription box service, the snacks are delivered to you. That’s right, you don’t have to hunt the aisles of the grocery store to find healthy options. Nor do you have to work with the limited choices of vending machines. You have the ability to make choices based on hundreds of products. Those include vegan snack subscription boxes, which have no animal-based options. However, there are certainly options with meat like turkey jerky or other high-protein, low-fat meats. It’s all about what you think will best serve your employees. Further, you have the option with healthy snack delivery to determine how much product you’ll receive and when. Whether you have 20 or 200 to feed, snack subscription boxes can meet your needs. What does this mean to your employees? When they walk into your break room, all snacks from a healthy snack delivery service are ready to eat. There’s no work on their part other than opening the package. They can grab it and go. Convenience is known to be a high priority for snackers. At work, they may only have a few minutes between meetings to grab something and probably don’t have time to do snack prep at home or in the office. When it comes to helping workers make better choices, you have to answer the need of convenience. First, you’ll need to do your research to find a delivery company that is flexible and offers a wide assortment of snacks. At SnackWize, we focus on offering a variety that’s tasty and healthy. We understand that each office has a different dynamic, that’s why we offer so many choices. We have a wide range gluten-free, dairy-free, nut-free, vegan, non-GMO and paleo options available. Our plans are flexible, too, offering options for teams large and small. We’ll work with you to determine how much you need and help you stay on budget. You can start by requesting a FREE healthy snack sample box with $50 worth of snacks! Get FREE your sample box today to meet the shifting landscape of snacking healthier.